In the dialect of the indigenous Kuy language, Prey Lang translates as “Our Forest”. Its one of the largest forests and protected areas in Cambodia, as well as one of the largest primary lowland dry evergreen forest remaining in the indochinese peninsular. The forest spans across four provinces- Kratie, Kompong Whom, Preah Vihear, and Steung Treng)- covering approximately 3,600 square kilometers. Approximately 200,000 indigenous people live in and around Prey Lang, the majority of which are the indigenous Kuy people, living in 339 villages surrounding the forest, whom the forest is sacred to. Like most natural areas within Cambodia, the forest is under threat from illegal logging for luxury woods, on both large and small scales, as well as mining, plantations, and roads. 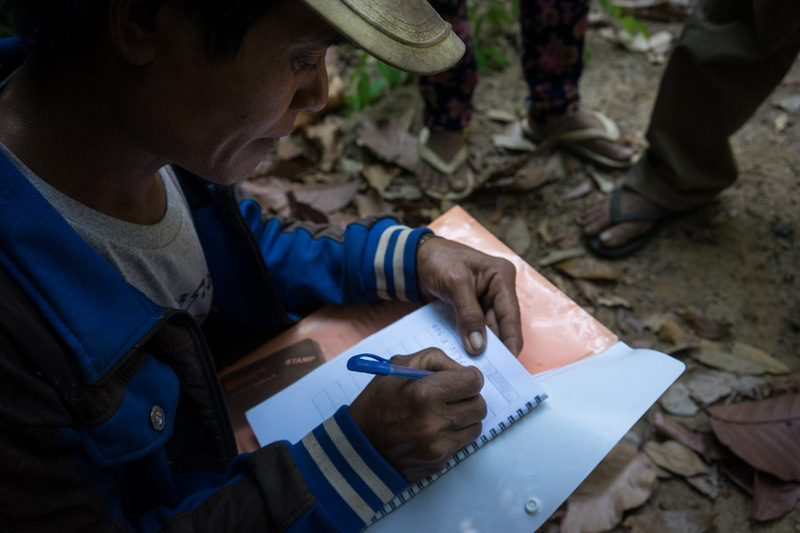 In the past years, the Cambodian government have granted at least twelve Economic Land Concessions within Prey Lang, allowing logging companies to work within the forest. The Prey Lang Community Network (PLCN) was set up as a grassroots movement to protect and preserve Prey Lang Forest, patrolling the forest to combat the destruction of illegal logging. The majority of the network consists of indigenous Kuy people, who monitor the activities of illegal logging and companies within the area. The Community Forest Patrol hear a faint rumbling in the distance. They slowly approach the sound by foot, and wait. The rumbling gets louder, till suddenly a pair of local illegal loggers emerge from the forest. 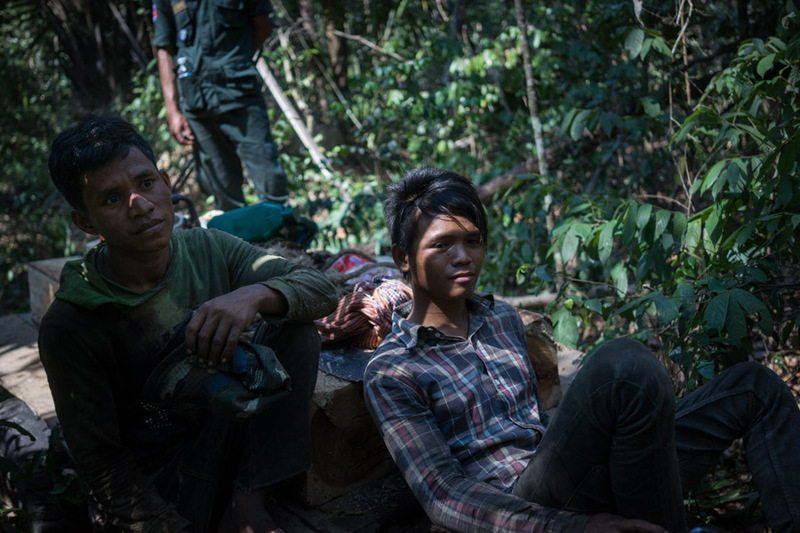 Two young indigenous Kuy boys emerge on a motorized tractor, pulling three small pieces of illegally logged wood, worth USD $12. Aware of its illegal status, the boys cut the wood in fear, and desperation as their last harvest failed. As first time offenders, their equipment is not confiscated, but their illegal activity is documented via photos, GPS, and a contract that is drawn up, stating they will not log illegally again. 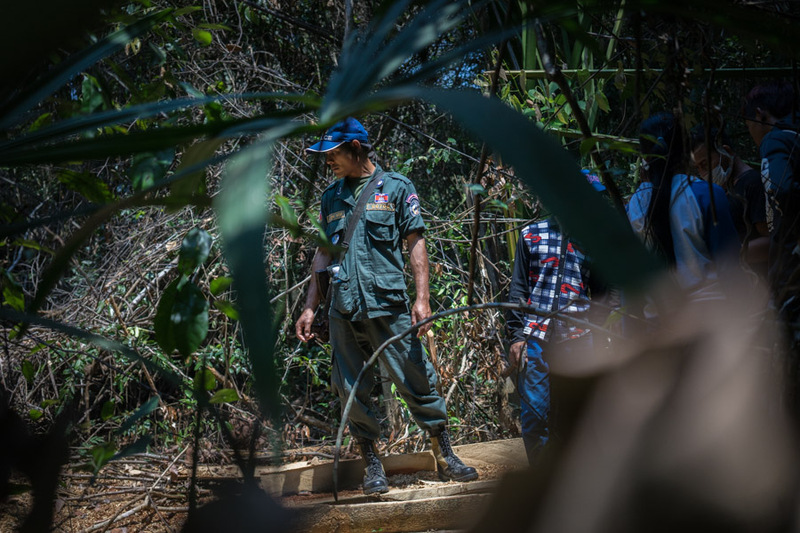 Walking around the protected community forest of Prey Lang, on a day patrol with six indigenous Kuy Community Forest Patrol members, the small patrol area was dotted with traces of illegal logging, old and new. As well as the the PLCN, there are also smaller groups of Community Forest Patrols, patrolling the forest on regular basis. 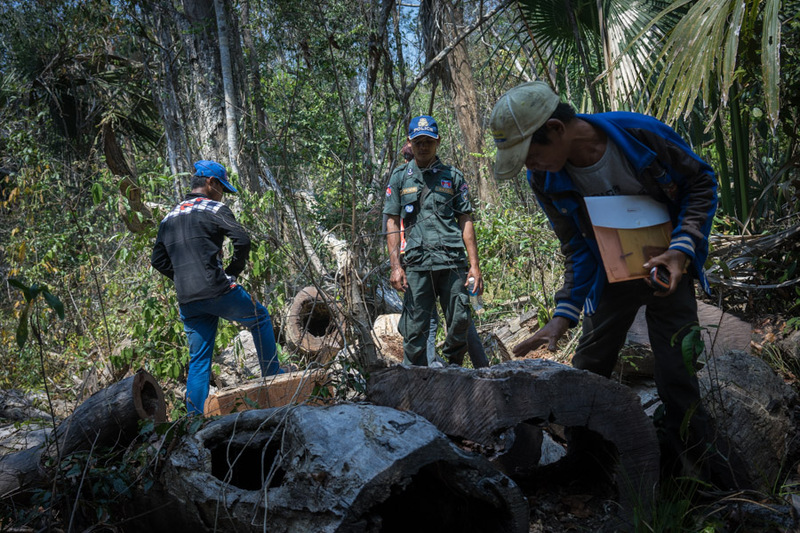 These patrols are engaging with larger organizations, such as USAID and WInrock International, who provide funding, equipment, and training, to utilize technology to combat illegal logging. 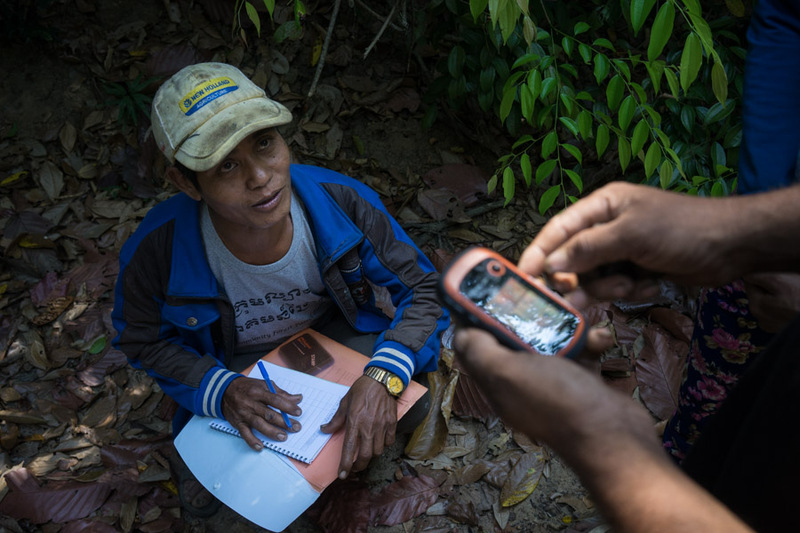 The smaller Community Forest Patrols, use GPS, cameras, and mobile technology to log and record the illegal activities they find whilst out on patrol, this is sent to Winrock to contribute towards a larger database known as SMART, where the data is then analyzed. "The Kuy are not only depend on Prey lang for their livelihoods, but their social and spiritual traditions are closely tied to it"